Vibrant buys and sells new and used Cisco Networking Hardware from the latest Cisco Catalyst Switches, Routers, Wireless and Security devices to End of Service Models which are no longer offered new. We carry a massive inventory of equipment allowing us to offer deep discounts and immediate delivery, not to mention incredible value and pricing. If you are looking to buy networking hardware, you might not even be aware that there are great alternative options available offering the quality you demand, but at tremendous value. With any pre-owned product, you as a buyer need to trust the seller and dig into their track record. Since 1998, Vibrant Technologies has focused on used IT hardware in like-new condition, at a price that makes even the most expensive items affordable for businesses who may be strapped for cash. As you try to get a new business of the ground or update a struggling business, you need the latest technologies, but without the requisite funds, it can feel impossible to move forward. Buying used hardware gives you the ability to save some money and still benefit from high end technology. What kind of second hand Cisco kit is available? On average, it takes between one and two years of a technology’s lifespan to cycle back to secondary market resellers. However, with the recent economic downturn, there has been an influx of new and “late-model” networking hardware flooding the channel as companies sell or get rid of their hardware to either keep the lights on, or because they have downsized and just don’t need as much firepower. These days, it may only take a few months for Cisco products to move from the “new” category to the “barely used” category. As a result, Vibrant Technologies is able to offer surprisingly current Cisco hardware. Used Cisco Routers – Whether you want the newest model, or just something to keep your internet pumping, we have a router that will work for you. From the first to the most recent generation, we have a product that will integrate perfectly into your existing system, or if you are just starting out, act as the foundation for building your network. Whether you need something to service the entire office or a smaller, personalized model, we have what you need. Used Cisco Switches – One of the benefits of buying used is you can find switches compatible with every type of environment. Advances in technology are what propel our society forward, but there is no reason to update your entire network if you just need a new switch. Cisco MDS Storage – Though the newer models may be sleeker, they don’t necessarily provide more storage. If you need consistent, robust, reliable storage for your network, you can find the appropriate MDS storage unit among our great selection of used and refurbished hardware. Used Cisco Phones – In this day and age, every person need a phone at their desk, hooked into your company’s network. Cisco has always offered a great range of phones, but there is no need to buy new if you can find the same phones at greatly discounted prices here at Vibrant Technologies. Equipping every member of your staff with an individual phone might be prohibitively expensive if you try to buy them new, but purchasing used at a deep discount allows you to connect everyone to your network. Optical Networking – It may seem impossible to try to upgrade to an optical network if you are on a budget. But with a verified, refurbished Cisco terminal, you can bring your office into the 21st Century, for your voice, internet, and video advancement. Used Cisco Wireless – Where wireless internet used to be a luxury for many business, it is now a necessity. With the majority of business being done online, you need your entire staff to be able to access the information you need. Don’t be left behind just because you can’t afford a new piece of hardware. One of our used technologies will serve you just as well and at a lower cost. Cisco Access Servers – As your company continues to grow, you are going to want to be able to handle large amounts of data as it rolls in and out of your servers. While buying an access server may have been out reach while you were considering just new models, a used model is well within your budget and will work just as well. 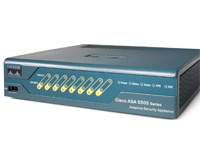 Cisco ASA, Firewalls and VPN Security – Security is extremely important for your network, whether you directly deal with sensitive information or not. Hacker can use your open network to collect user information, or even to hop onto a more secured network and access truly damaging information. You are going to need a functional, flexible security, but you shouldn’t have to pay top dollar for it. We can offer you used security measures which will protect your users and your data just as well as new firewalls. In our 50,000 sq ft facility and warehouse, we stock millions of dollars worth of Cisco equipment – over 100,000 products at any given time. We can deliver exactly what you require, in a range of capabilities, at a range of prices that work for you. There is a spectrum of resellers selling used Cisco hardware, but it’s essential you work with a trusted, established market leader. Be wary of any dealer that will not confirm that the items they offer are authentic Cisco items on open market places. We’ve built an extensive, vetted supply network to stock only the highest quality equipment at the best prices, all backed by a guarantee of authenticity and Vibrant warranty. We’ve built a respected name over 15 years by taking the long view with our clients and can deliver that promise to you as well. Reputable sellers only deal in the highest quality hardware, with a strong warranty and support program. Just because a product is used doesn’t mean you have to take a risk to purchase it. Secondary market items should see extensive cleaning, proper refurbishment, and testing (along with a warranty add-on) before they are put back on the market. One of the common used technology myths is you are just going to buy something a different buying sent back because it did not work. That is not how we do business at Vibrant Technologies. The channels we use to obtain our equipment are completely legitimate and screened (most are probably users like you), and it is completely acceptable for private or public firms to purchase used Cisco hardware in the United States thanks to our free market economy that supports your rights to resale. You bought it, you own it… and can resell it. We not only sell used equipment, but buy too. If you have Cisco Hardware (or servers or storage, too), please let us know! Where does our Cisco hardware supply come from? There are many sources of our used Cisco Hardware, and very rarely is that source via defective returns. When it is a customer return, the circumstance must be that they simply wanted to swap out their hardware for something more recent, not that it stopped working, had developed bugs, or was now too obsolete for their needs. Many companies lease their hardware, as it allows them the chance to exchange technology as often as required and reduce capital expenses (CapEx). When leases mature or are terminated, they’re returned to the leasing companies, who we partner with Off-lease equipment is generally still in excellent working order thanks to a rigid maintenance schedule and the equipment’s use in professional data centers and network rooms. Often, in companies, when one department gets a technology overhaul, the entire departments gets a fresh coat of hardware, even if the servers, switches, routers, phones, or firewalls still had many years of life left in them. These pieces of hardware are either exchanged or sold back to retailers or provider companies. We love Cisco buy backs like these, from IT users and professionals as we know it helps them save money on their purchase or provides the opportunity for departmental hires. In other cases, Resellers and Distributers in the primary authorized channel may find that they have mis-ordered or overstocked equipment intended for a customer. When the networking product doesn’t get included in the sale, these never-used items will become part of the secondary market and move on to “used” retailers like us. Sometimes manufacturers produce more of one kind of hardware or another. When it is not used by retailers, it too moves on to used sellers, though it has never actually been used. When companies experience bankruptcy or have to liquidate their assets, one of the first things to go is their technology assets. These products are often still perfectly good, and can be resold at a discounted rate. Hardware from all of these sources does not automatically or immediately go back on the market. Before something is marketed as “used,” it must be tested and verified to ensure that it will work just as well for its second owner as it did for its first. We also provide a second burn-in of the equipment with our thorough testing process. How can I be sure my Cisco is authentic? If something sounds too good to be true, it just might be. If the seller offers “brand new” hardware at outrageous discounts, you might legitimately wonder if most of the tech on their page, if not all of it, is counterfeit. Sometimes, just by looking for anomalies on your hardware, you can get clues as to whether it is or isn’t legitimate Cisco product. Overly shiny screws, messy welding, cut-rate board points, obviously fake packaging, and badly placed serial number stickers are all signs of a counterfeit item and should be noted and questioned. What is the Cisco gray market? The “gray market” is an often misconstrued term favorite by big tech manufacturers and often confuses people looking to buy refurbished hardware. Gray and refurbished are not the same thing. Basically, the gray market is where a seller provides brand new equipment that was intended for a foreign market. The manufacturer tries to sell for lower prices in that market and the grey marketer takes advantage of that differential in a stroke of arbitrage, then undercutting the authorized channel in the more expensive market – with their own equipment. It looks like a price reduction, but in reality, it is just a transferring of goods from one location/market to another. Not all used resellers are gray market sellers. Vibrant Technologies is primarily focused on the resale of used and refurbished networking equipment and it’s rare that we have grey market opportunities, but we’re always 100% up front in those scenarios. What can I expect to save by buying Cisco hardware from Vibrant? As with any substantial commodity market, the current environment conditions will ultimately dictate the exact number. In general, you can expect to see 50-90% off the original price for a truly used and refurbished piece of hardware, and 40%-60% off for unused surplus items. These are incredible savings, especially for new or struggling businesses who cannot afford to dish out a lot of money, but still want the best technology available. But these companies aren’t the only ones who might purchase used equipment. Fortune 500 companies across the world have realized the benefits of buying used technology. Many government organizations, universities, school systems, and non-profits also purchase and benefit from the savings of used hardware. Refurbished Cisco gear saves you money, but also hassle. Unlike other used sellers and even unlike many sellers of new equipment, Vibrant Technologies offers a gauntlet of warranties and safeguards that makes buying used a much more cost-effective investment than buying new. Isn’t new better than used? If you contact a retailer who markets new Cisco technology, they will tell you that your only safe bet is to purchase a new piece of hardware. That simply isn’t true. Reputable sellers don’t just buy up any used piece of hardware and turn around and sell it to the first waiting buyer. There is a testing and cleaning regimen that all equipment must endure before it is ready to be sold again. We also load test all ports, running massive amounts of network traffic through each one, simulating maximum network load in an effort to achieve our goal of better than new quality. A marketer of new Cisco hardware will tell you that used technology has no protection, no maintenance plans, and no technical support. In reality, warranties offered for used products can be much better than warranties offered for new products. There are maintenance programs that make sure the customer has technical support whenever they need it. And all this for a much lower cost than new technology. The biggest concern for most buyers is the fact that someone else has already used and returned the product, so there must be something wrong with it. Vibrant Technologies is not going to sell something just because it is used. We offer only the best, most functional items, and we will never try to sell you a defunct piece of hardware and we will always support you before, during and after the sale. The word “used,” in many areas of the market often means that something is not as good as new. Used cars, for example, are often viewed to be less reliable than new cars. This stigma should not apply to used technology from reputable sellers. In fact, used technology is often a more appropriate choice than new technology. It integrates better into existing networks. It has been tested, not only by our quality control experts, but also by the previous owners. So used equipment has two cycles of testing from Vibrant, field-testing by users like yourself and a 2nd burn-in by our expert technicians in our professional testing facility and lab. And the best feature of all: you never have to pay for features you don’t want. As technology progresses, hardware is equipped with more and more features. And while you may not want or need all of those features, you are going to have to pay for them. Going back to our car analogy, on a new car, you are going to have to pay for Bluetooth, for example, whether or not you want or need it. With a used car, you only have to pay for the features you are going to use. The same goes for used hardware. With used hardware, you get only what you want, and you don’t have to dole out a lot of money to pay for it. Whether you are equipping your whole office or just a few desks, it is more cost-efficient, and you get the same great technology that retailers of new hardware are offering. Are there warranties for used hardware? Absolutely – every product sold by Vibrant is given a warranty and guaranteed. Warranties vary depending on what kind of technology they apply to. From thirty day return policies to lifetime warranties, different kinds of technologies will have different kinds of warranties, and those warranties will have different lengths and terms. The specific terms of your warranty will be laid out before you buy, either via online sale or RFQ/Purchase Order. Vibrant also offers extended maintenance plans for Cisco equipment and there are always uplift warranties available for sale beyond our standard repair/replacement options. What condition will my Cisco hardware purchase be in? If you’re buying from an unscrupulous seller, you may see damaged or poorly packaged goods, in flimsy boxes, with little to no padding. These products will not have been cleaned, nor will they have been tested, no matter how much you pay for them. At Vibrant Technologies, we pride ourselves on offering only the best hardware. “Like new” used items should not only work like new, they should also look like new. Keep in mind that few people are going to see a switch or router with a scratch on its side and think anything of it. Some people are obsessed with new technology because of its beauty, not because of its utility or features. As a piece of hardware sits in a home or office, it gets normal wear and tear, and this does not necessarily affect how the product actually works. Do not get too hung up on the exterior of a router or server, because the exterior condition rarely reflects how well something works. Plus it typically sits in a rack where you’d never see a scratch or ding, but you should still expect top quality deliverables. On occasion, some dealers will offer additional discounts on items that work perfectly well, but have a few nicks and scratches. Of course, you should know about this “scratch and dent” condition before you purchase, not when you take the item out of the box. How can I know you are a credible seller? There are several criteria to look for when choosing a reputable dealer of used Cisco hardware. These include years of service, references, membership in key trade organizations, quality, and service and support. We don’t expect you just to take our word that we’re the most reliable source for remarketed IT equipment. We provide you with the facts and allow you to make your own informed decision based on our background and references. Do some research and see what kind of internet presence the company has built for themselves. Do independent, third-party reviewers have good things to say about the company? Are they properly secured by the right companies? Can you check their eBay rating or BBB account? Always check and make sure there is proper contact information displayed. If they refuse to give up even a customer support phone number, you can be sure they are not a credible company. Most established sellers will provide plenty of customer reviews and testimonials. They should readily show you that they have a wide variety of satisfied customers. The reviews, however, shouldn’t ALL be perfect ever time. It seems paranoid, but if every single one of their reviews is glowing, it might be a sign that they are paying for ratings, not getting genuine feedback from their customers. There should also be clear information about product warranties and how they ensure they are selling quality, legitimate equipment. Companies that have been in business for a long time, that have survived the test of time, and have plenty of great customer reviews, are most likely companies that are safe to do business with. When it comes to the quality of the products, you are going to want to be able to find out where these products have come from. As stated above, most come from other companies, who are either switching out their technology at the end of a lease, or selling off their hardware because of a liquidation. Obtaining items form both of these sources is completely legal and helps reduce waste in the market, not to mention it means the equipment has been well serviced and maintained. You will also want to be sure that each product is tested and verified before it is returned to the market. It may be cheaper for some companies to simply pick up the items and turn around and put them back up for sale, but at Vibrant Technologies, we want to be sure that our products work as well when you use them as the day they were first installed. Vibrant isn’t simply an asset recover, but adds value and assurance to the purchasing process for our IT buyers. In the area of service and support, you will want to look for companies that offer you great warranty options, and have a contingency plan in place in case the item you bought fails to function as promised. If they do offer a replacement piece, you will want the same warranty guarantees and a short turnaround time. You will also want to be offered your pick of replacement hardware. There are certain risks that go along with IT hardware purchases, and you want to be sure that the company you purchase from can fully remove that from the equation… we take the long view with our clients and it has served us towards a strong 15 years of business in IT and networking resale. Vibrant Technologies strives to fulfill all of these qualifications. Not only can we guarantee that you will find our service friendly and supportive, but also hassle-free and authentic. You shouldn’t have to put out thousands of dollars just to ensure that you have the same technological edge that your competitors do. Does buying used Cisco products help the environment? Buying used hardware definitely helps the environment. Because tech hardware developments happen so quickly, and, in reality, will only increase in rapidity, today’s advancements are quickly considered obsolete. Most experts believe it is only a few months before new technology is replaced by something faster, more capable, smaller, and more economical. Traditionally, this means that all of those old computers, routers, servers, and phones go into the landfill. Imagine if every few months that a new model came out, everyone in the world threw out their old hardware and went out and purchased a new item. The landfills are already full of discarded technology, but it would be so much more if there weren’t people who either held on to their perfectly fine technology or decided to buy up some of the used hardware, instead of new hardware. Now, retailers that only deal new items will tell you that the problem is not that extreme. They will tell you that technology does not turn over that quickly, and that most of the materials used in the production is recyclable. And while it is true that advancements are made every day, and it takes years for hardware to truly become obsolete, it is not true that most production materials are recyclable. It is true, in contrast, that though the materials themselves cannot necessarily be recycled, the hardware can be. Thousands of used items are discard every year by their users, either in favor of something “newer,” “better,” or just “different.” Actually using the IT hardware uses a fraction of the energy used to manufacture a PC, server or networking device. While we all strive for energy efficiency gains, keep in mind there is almost always great value in re-use over replacement. Instead of allowing those perfectly good items to just be thrown away, secondary market retailers like us buy these items and sell them at deep discounts. And you can find exactly what you want or need when it comes to these technologies. Like stated above, you don’t have to pay for features you don’t want. Cisco hardware is made to last. And the best part is that not only do you keep like-new pieces of hardware out of the scrap heap, you help reduce the amount of new products that are being produced. By purchasing used equipment, you allow one less computer, phone, server, etc. to be produced, saving those materials, and the pollutants that are often used to create them, from entering the market and the atmosphere. Used Cisco hardware (vs new), better reflects the actual costs of production and technical value of your networking buy, not the mark-ups that corporations put on their products. Why Vibrant Technologies for used Cisco hardware? Vibrant is a customer-first, long-standing credible dealer of used Cisco hardware offering industry –leading service, expertise and quality. We have an amazing selection and a great warranty program. For more than fifteen years, we have been providing quality, certified products to companies of all sizes and fields. Vibrant has a great reputation in our sector and a proven track record with our customers. We follow all of the guidelines listed above to be a credible seller, and we take pride in not only our products, but our ability to provide affordable solutions to companies across the country and across the globe. We carry thousands of pieces of networking hardware, anything you could need or want, in a range of generations, and all fully tested and certified. But we are not just providers of hardware, we also provide the support you need to fully integrate your new equipment, as well as service or replace it if need be. Overall, we strive to provide the best solutions for all your network needs, at the very best prices. When you purchase used hardware, there is a level of risk involved. But there is also a level of risk involved in purchasing a new piece of hardware. You do not know if it will work until you get it home and actually set it up. Used technology has already been set up and successfully implemented. And unlike other sellers, we are never going to sell your something that has failed to work, either for the previous owner, or for our team of hardware specialists. Gone are the day where you could only buy new technology and all else was discarded. Consumers like you are realizing the utility of used Cisco kit, and are taking advantage of the discounts available to those who buy used. Buying technology is an investment, not only in the hardware, but also in your business. You need your items to work, and you don’t want to have to worry about not being able to get the tech support you need. Take the risk out of purchasing technology and invest in our quality used Cisco routers, switches, modules, severs, and firewalls! Please request a quote today for pricing and availability! Warranty provided by Vibrant Technologies on all models and parts.